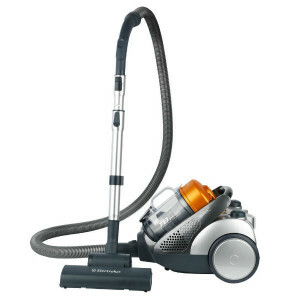 Electrolux Vacuum Cleaners are designed to be low-profile and easy to use. Electrolux Vacuum Cleaners was founded more than 90 years ago by Axel Wenner-Gren. Through the years improvements have led the way to many models and diversification into other household appliances. During 2000, a Swedish-based firm bought out the rights to the North American market and Aerus, LLC was formed to head more than 500 franchise locations through the United States and Canada. The Electrolux name is still used by the Swedish headquarters and they are still considered global leaders in household appliances. 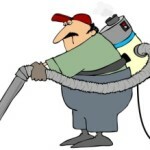 There are several features that the canister and upright models of Electrolux Vacuum Cleaners have in common, including HEPA filtration systems, which make them perfect for allergy sufferers. The machines are also heat, scratch, and rust-resistant. 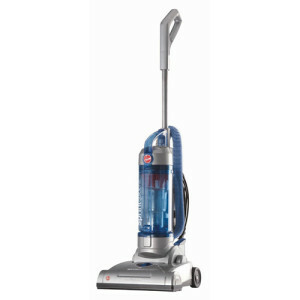 They have highly effective suction power and are able to collect 76% of dirt from carpet and 99% of dust. In addition, easy maneuverability and the 100% VALOX plastic construction mean vacuuming is less strenuous when using Electrolux Vacuum Cleaners. We hope the comparison table above was helpful in getting a quick look at some key stats for the best Electrolux vacuum cleaners. Below we will take a more in-depth look into some of the individual models. 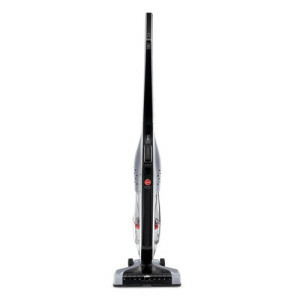 The Electrolux EL1030A 2 in 1 Bagless-Cordless Stick is a slim, lightweight unit that is easy to get out and use for spot cleaning. 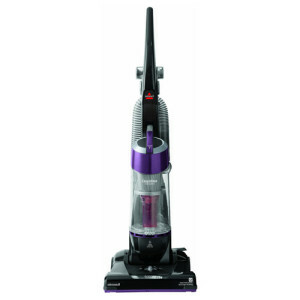 It features a built-in handheld vacuum in addition to having the power you need when you need to use it as a light-duty upright. It has a 30 minute run time when fully charged. 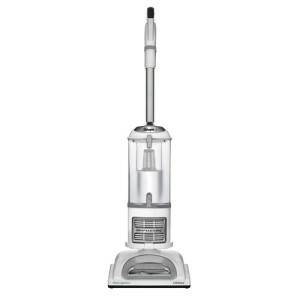 One of the most budget-friendly Electrolux Vacuum Cleaners, the EL1030A is a popular choice for those that need better maneuvering on hard floor surfaces as this machine has a 180 degree swivel head. You can empty the dust cup without getting your hands dirty and you don’t need a lot of space for storage since the charging base can be wall-mounted. 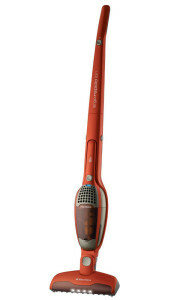 It features powerful cyclonic suction of bigger vacuums and a motorized aluminum brush roller for a better clean. The EL4103A Ergospace canister features premium HEPA filtration, an adjustable floor nozzle, automatic cord rewind, a three-in-one hand tool, a 21-ft cord, a 9-ft hose and a telescopic wand. The machine includes all of these features, yet still weighs in at a mere 10.9 pounds. 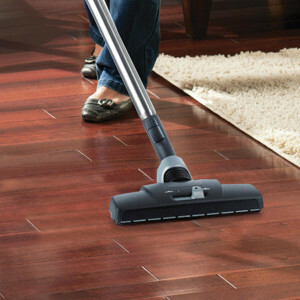 The canister design and low profile vacuum head allow for cleaning of tight spaces, such as under coffee tables or couches. 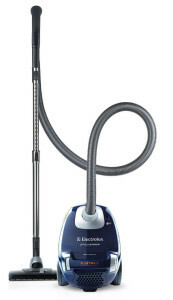 The EL4071A Electrolux Access T8 Bagless Canister Vacuum features multi-surface accessories for low pile carpet and bare floor cleaning, a low profile nozzle, a 10″ cleaning path, a telescopic tube, and a flexible hose. This lightweight model comes in at just 8.2 pounds. 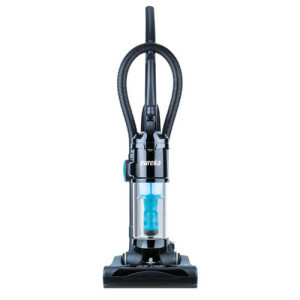 This model is designed for cleaning in tight spaces, and is one of the least expensive options from Electrolux available. However, this model is not as highly recommended as others and has earned a 3.7 star rating from consumers.